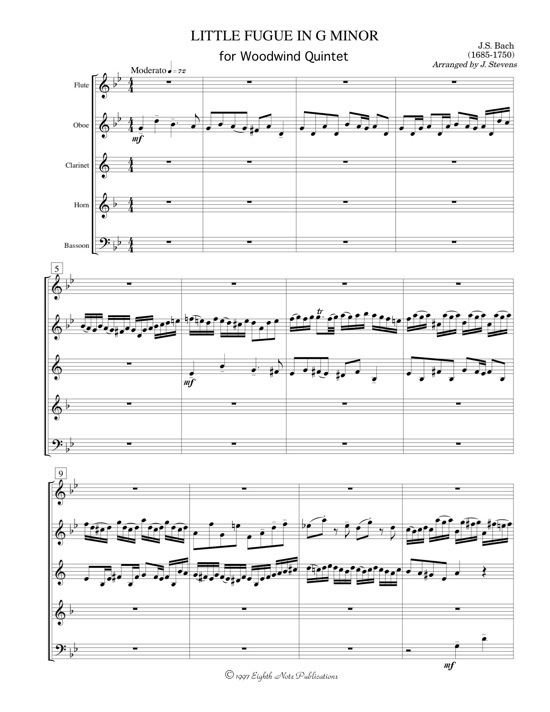 This is one of the most famous pieces of music ever written. Various arrangements have been done including several for orchestra, wind ensemble and brass quintet. This is a lighter version featuring all the members in the ensemble. The contrapuntal lines are passed all through the group and each instrument has several soloistic moments.